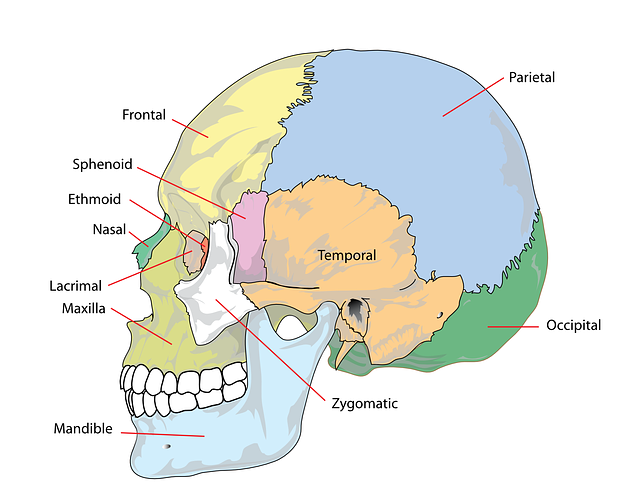 The Temporo Mandibular Joint (TMJ) consists of bones, ligaments, muscles, nerves and joints. This area is often the first area treated in a Kinergetics session for good reason. It firstly stores 90% tension of the entire body. Therefore, by releasing this area we are in fact releasing tension throughout the entire body. The negative symptoms of a tight jaw are huge. If you have ever knocked your jaw, been under stress or tension or had any symptoms above, even as a child, the jaw may have become hypertonic. Too tight and out of balance. The causes of a tight TMJ are in fact varied. For instance, car accident, whiplash, dental work, general tension, anxiety, stress, knock to jaw or the head. Who needs to relieve jaw tension? Firstly those with any body tension. Releasing the jaw in fact does release tension from the entire body. Those who don’t obviously have an issue with their jaw are often surprised during a session and the release of the jaw just how sore this area is. Secondly, for those wearing braces (now or in the past). Although braces correct the bite of the jaw, the process of correcting via periodic tightening of the braces causes tension through the TMJ. In fact, some say the trauma of braces in equivalent to a car accident. This can be helped with TMJ release in kinergetics. I recommend a number of session prior to having braces fitted. Furthermore a session following each tightening process. In additions this package will benefit those having any dental work such as fillings, root canals or implants. Next is Bruxism – or grinding of the teeth. Do you wake up in the morning with a sore jaw? Perhaps you have a scalloped tongue edge? These are sure signs you are grinding your teeth at night. Did you know your teeth should never touch apart from when you are eating. The jaw should be relaxed and you tongue comfortably touching the roof of your mouth at other times. Mouth closed and breathing through your nose. A clicky jaw is no fun and is a sure sign the muscles and ligaments surrounding it are hypertonic. These need to be released to allow full silent function of the jaw. Do yourself a favour and have a session of kinergetics just to experience a jaw release for yourself. Furthermore I’d recommend taking up the Jaw Release Package. By correcting the TMJ you will go along way to correcting as a result, many other area’s of the body.We hold 90% of tension in this TMJ area. It is so important, during every kinergetics session a TMJ release, normally at the beginning of the session is routinely performed. During this Jaw Release Package I will go above and beyond to dig deep in releasing this area. You will feel surprisingly freer.